The Canon LP-E10 Lithium-ion rechargeable camera battery is a handy spare or ideal replacement for your Canon EOS 1100D, EOS 1200D and EOS 1300D DSLR camera. 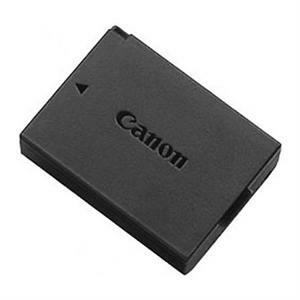 This original Canon LP-E10 battery pack is an essential piece of kit. Keep a spare in your bag to ensure you never get caught out when you're out shooting. As it's made by Canon, you know you're getting a genuine, reliable product that will adhere to Canon's high standards and will power your EOS camera reliably.